Fever pitch: Children with low intelligence and severe autism tend to improve when they have a high temperature. About 17 percent of children with autism are calmer and more communicative than usual when they have a fever, according to a new analysis1. Children with severe autism features are most likely to show these gains. Understanding how fever affects autism features could help researchers uncover causes of the condition or treatments for the children who tend to improve. 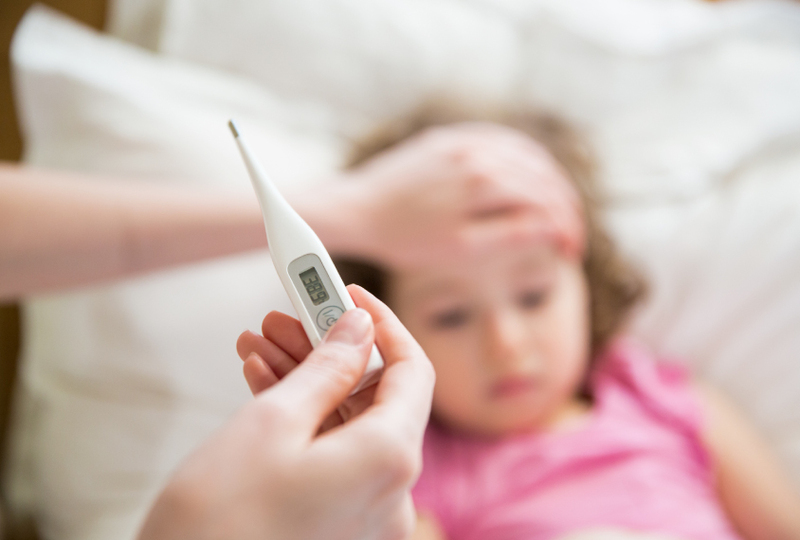 The study is the first to characterize the children who show behavioral improvements during fever — an effect that has long been reported anecdotally but remains unexplained. The new work builds on a much smaller 2007 study, which reported that 83 percent of children with autism are less hyperactive and irritable, or otherwise behave better, when they have a fever2. Many parents in the new study — though not the majority — also reported that their children’s behavior improves during fevers, says senior researcher Catherine Lord, director of the Center for Autism and the Developing Brain at New York-Presbyterian Hospital in White Plains, New York. The work appeared 31 August in Autism Research. “I think [the researchers] establish very nicely that the phenomenon exists, at least as parents report it,” says Andrew Zimmerman, clinical professor of pediatrics and neurology at UMass Memorial Medical Center in Worcester, Massachusetts. Zimmerman led the 2007 study but was not involved in the new work. Specifically, parents reported that fever improves their children’s ability to learn, communicate and interact with others. It also lessens the children’s repetitive behaviors and tantrums. Lord and her team used data from the SSC to look more closely at these children’s genes and behavior. They found that having a genetic variant associated with autism does not influence the chances that a child will improve with fever. The children who do improve have significantly lower nonverbal cognitive skills and language abilities, and more repetitive behaviors, than do those who don’t change with fever. The study’s 17 percent estimate falls short of Zimmerman’s finding of 83 percent. In that study, Zimmerman’s team asked parents of 30 children with autism to complete a standard behavior checklist at the onset of one bout of fever in their child. The parents completed the same checklist when the fever abated, and again one week later. Lord agrees that the 2007 estimate may be inflated. She notes that her team’s approach — asking parents to recall their child’s behavior during fever — may have yielded an underestimate. “We could have bias in the other direction,” she says. Why fever alters behavior in some children with autism is unclear. Lord and Zimmerman say there is anecdotal evidence that people with other neurological conditions, such as attention deficit hyperactivity disorder or Alzheimer’s disease, may also show behavioral improvements during fever. Some of the behavioral changes during a fever could stem from lethargy — the calm demeanor induced by illness might result in fewer outbursts, for example. More research is needed to rule out that idea, researchers say. It is also unclear whether the children who improve during fever are more impaired than those who don’t seem to change, says Audrey Thurm, a clinical psychologist at the National Institute of Mental Health in Bethesda, Maryland, who was not involved in the work. It could be that parents of children with severe autism features are more likely to notice behavioral changes than are those of children with milder features, she says. Scientists still need to explore whether certain types of illnesses are more likely to bring about behavioral improvements, and whether the children who improve get sick more or less frequently than those who do not, Thurm says. Beginning this month, Lord’s team plans to ask the parents of about 160 children to monitor several aspects of their child’s health, such as fevers, colds and gastrointestinal issues, throughout the winter season. This would help minimize the bias of focusing on just fever, Lord says. The researchers also plan to include typical children to determine whether the improvement with fever is specific to children with autism. I find this type of research a bit bizarre. Surely, when someone – anyone – is feeling unwell with a temperature, they are more lethargic and more inclined to communicate to seek help as they are instinctively in need?! So if an child autistic child is more hyperactive and challenging when well, it stands to reason that this would be an effect. I don’t understand why anything is being read into this or it’s even a basis for research. Sometimes the obvious should be recognised. My son (high-ish functioning, not severely autistic) gets LESS communicative when he has a bad fever. He’s almost mute, hardly speaking to others at all. His hyperactive behaviours completely vanish though, it’s weird to see him staying still for so long! Lethargy is definitely a factor but not sure whether it’s the whole picture. know what was going on, & couldn’t work out why, the following morning, I was back to “normal”. The improvements recalled by parents in their autistic children during fever need to be confirmed. The improvements reported or noted have to be interpreted not only qualitatively but quantitatively as well in order to arrive at any definitive conclusions. Then only concrete steps can be taken. I don’t have children of my own with autism but as an ABA therapist for 10 years who was working in homes for 8 of them, I have seen many many children on the spectrum while sick and healthy. I wouldn’t chalk it up to anything other than lethargy. In my own life, my mom says she can always tell when I’m feeling better because I get “fresh” again. Rather than laying on the couch, asking sweetly for help, I may get my “attitude” back and say “okay MOM”, etc. I have certainly witnessed the change in behavior in children on the spectrum while sick, but not in a way that makes me think fever suppresses behavior in someway. They change in the same way I would. I want to rest and cuddle, etc. Let’s also not forget that typically, less demands on placed on a child on the spectrum (or most children for that matter) when they are not feeling well. Even during therapy sessions, we may work on skills that are less challenging and earn longer breaks in front of a movie, etc. And again, I know that I’m certainly more pleasant with less pressure on me. But aside from that, behaviors which function as escape are less likely to occur when they child doesn’t want to escape from anything.